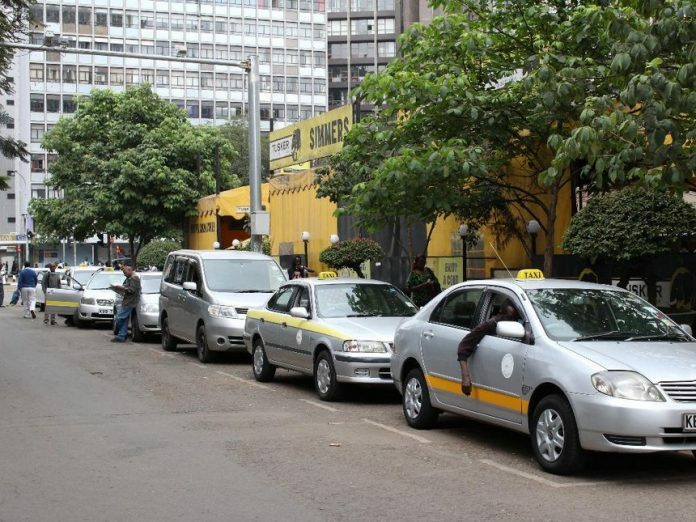 How to start a taxi business in Kenya: BY BETT KINYATTI / DAILY NATIONI ran the business for three years – from September 2012 to September 2015. I had three taxis on the road at its prime. I ran the business before Uber and its technology rerouted the paths our local taxi industry was steering to navigate. Nothing was the same after these Uber-like apps docked at our sea, and fell into the hands of taxi drivers, owners and consumers. It was an evitable yet almost natural advance of technology. How we embraced this technology is a totally different subject. A taxi business is the quintessential capital-intensive business – you need lots of cash to finance your idea off the ground. For instance, a 2012 Toyota Belta is averaging for Sh. 950,000 (I’ve just looked that up on Cheki, the online marketplace for cars). Think of this as the cash you need, at minimum, to start a taxi business. Unless you’re in the black market trading organs or are laundering dirty money, I don’t know if you’d have such cash lying around. I didn’t. I applied for a loan from Standard Chartered Bank. The other option would have been to apply for a Sacco loan. Sacco loans are cheaper than bank loans. Anyway. I purchased two Toyotas – a Fielder and an NZE. I got the Fielder from a dealer in the Coast, the NZE from some lady here in Nairobi, she was upgrading to new car (I’d later learn that this purchase was not a smart one). Aside from the purchase cost of the cars themselves, there was also the cost of PSV insurance, KRA inspection certificates, agents’ fees, transferring logbooks to my name, initial repairs and service to the cars, and other miscellaneous costs that kept creeping out of the woodwork. The loan I took from the bank was for Sh1.5 million. It’d run for five years. I’d be charged a monthly interest rate of 19.9%. I was repaying per month Sh50,715. I had another small loan running with my Sacco at the time of taking this bank loan. The bank told me they’d buy off the loan balance from the Sacco, so I was left financing this one huge loan from them. I don’t know why but I felt good about this. Also, the monthly repayments I’d been making on this small Sacco loan was an indirect income from my taxi business. I’d get from each taxi per month, a flat rate of Sh30,000. That’s a total of Sh60,000. I’d also make a saving on the small Sacco loan I’d been servicing, the one the bank bought off and incorporated into their one-huge loan. I was repaying to this small loan, per month, Sh15,500. So that’s a total of Sh75,500. Taking into account what I’d invested and what I’d get as returns monthly, I’d make my money back in about 20 months. I’d also still have the cars themselves, they’d be depreciated but they’d be worth something in the market. Toyotas have great resale value. In a nutshell, I’d have monthly income plus assets with value to my name. The fleet managers would deposit the cash to my bank account on the 30th of every month. So there are the cars on one hand and the fleet managers on the other hand. What could go wrong with the cars: They could get stolen, into an accident or fender bender; they could be recklessly driven or used for other purposes besides a taxi. Insurance had covered to a large degree these risks. What could go wrong with the fleet managers: They wouldn’t pay me or pay me on time; they could inflate the monthly repair costs; or invoice me for capital expense which hadn’t been incurred; or they’d deny knowledge of me giving them the cars. It would take the grace of the good Lord, the driver’s personal integrity and toughening myself up not to be bullied, to address these risks. I’d only need to sell the cars, settle the bank loan with these returns and I’d be out of the business. I handed my ready-for-work taxis over to two different fleet managers. I did this to spread my risk. The fleet managers had service contracts with some corporate companies across the city, including one in Upper Hill. They already had other taxis in their fleets, mine would add to their fleet and get them more clients, more income, and more to write home about. For the sake of discipline and personal boundaries, I told them that I didn’t want access to the cars in any way whatsoever. Unless there was a big emergency, like maybe my brother was getting married in Machakos and the family needed to be transported down. I also didn’t want to get free rides from the drivers. The fleet managers would take care of monthly services, small repairs costs, fuelling and managing everything to do with the drivers. I’d take care of capital expenses like replacing tyres, paint work, annual insurance and inspection fees, and any extra charges in the event of an accident. I had Excel worksheets to account for all money I received. This accountability settled misunderstandings (and helped me write this story using actual data, years later). Well, the business had its fair share of delayed payments, frequent repairs and reckless drivers. But nothing to burst a hernia. To be honest, I was satisfied with how it was running and with my relationship with the fleet managers. I was also happy with the monies that were coming in. These monies fully supported me in the months I was transitioning to becoming a freelance writer. Two and a half years into the business – in April 2014 – I took another Sacco loan of Sh1.5 million. I’d pay it back in four years. 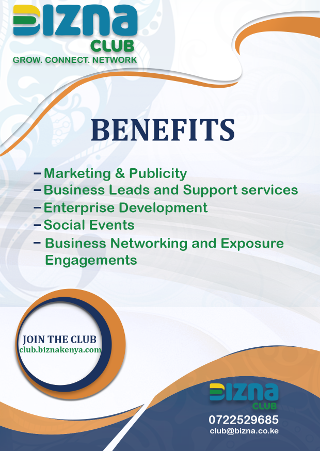 I wanted to expand the business and grow with my sacco. A sacco loan is cheaper than a bank loan. For Sh1.5 million borrowed with the bank, I was repaying per month Sh50,000. With the sacco, I was repaying Sh39,000. This sacco loan cleared what was left of my bank loan (about Sh1.3 million) and left me with extra money to top up and buy another taxi. I bought a Toyota Axio for Sh800,000. Unfortunately, a year later, in April 2015, this Axio was involved in a road accident and was written off. By the time of this accident, I’d made Sh210,000 from it. Insurance settled with a cheque of Sh650,000. Later that year, I sold the other two cars I’d started the business with. The NZE didn’t break even. I’d bought it for Sh660,000. It made me Sh541,000. I sold it for Sh500,000. The Fielder broke even. I’d bought it for Sh750,000 and it made me just as much. I sold it for Sh520,000. Summing up the sales returns from the NZE, Fielder and Axio, I had liquid cash of Sh1.6 million. I cleared what remained of my sacco loan and reinvested the balance of about Sh500,000 in another business. This business is good for you if you have the capital available to invest. The business has relatively good margins, and a clear exit plan. Its major risks are covered by insurance. These days, the technology in the taxi-hailing apps – Uber, Taxify, Little Cab – has made it much easier to manage. These apps also mean you have transparency and full control of your business. I didn’t have as much control as I’d have liked. Considering this is a side-hustle and you have your 9-to-5 to attend to, I suggest you get a taxi manager to supervise and monitor activity. Someone who’ll manage the car, driver, fuelling, service, repairs of whichever kind, run ins with county authorities, cash. Give them a percentage of the monthly returns, say 15 per cent.